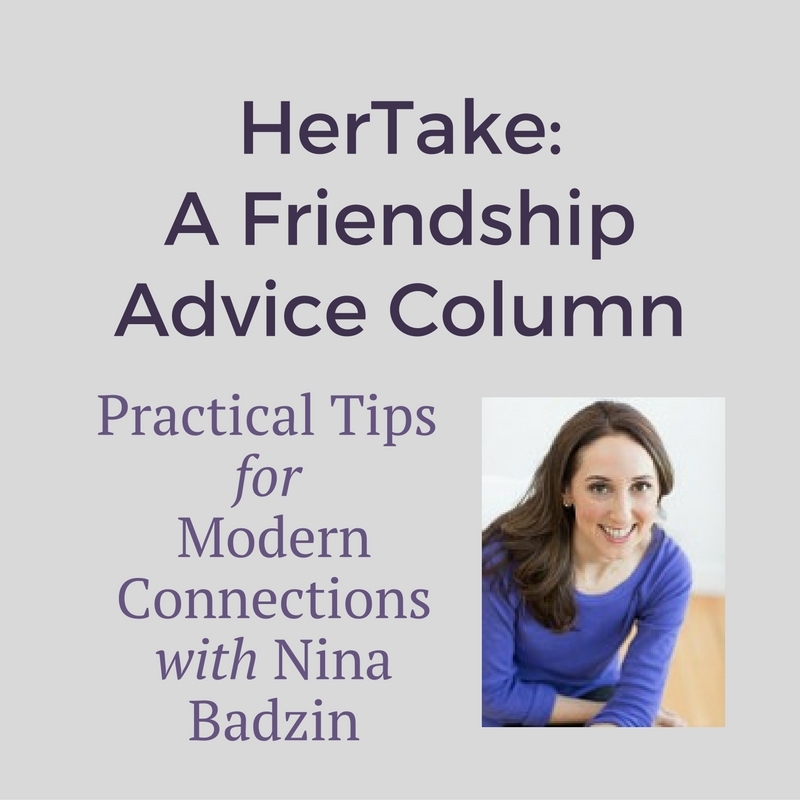 In this month’s HerTake question, Nina answers a letter from a woman who is tired of sharing her friends with a close friend who hoards her own friends and acquaintances. Are you a friend connector or a friend hoarder? 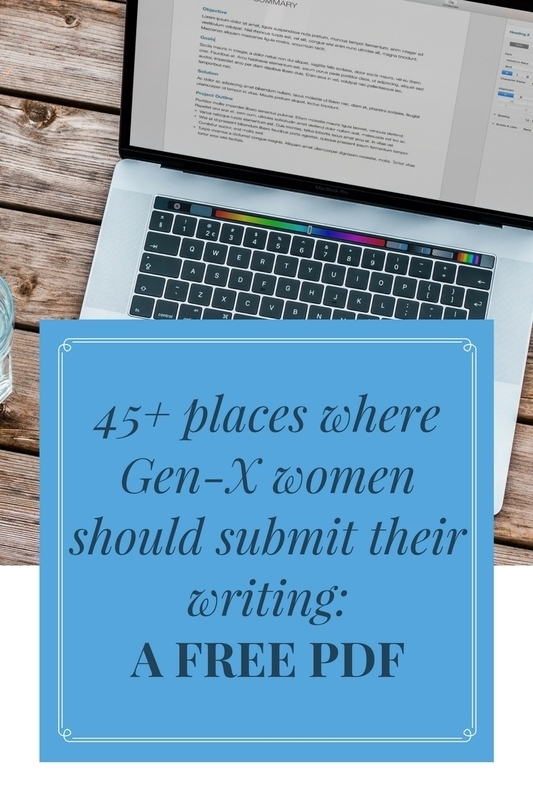 Help our letter writer decide what to do! I often introduce my friends or acquaintances to each other because it me makes me happy to do so. I like helping my friends, and adding the joy of new friends or good work connections to their lives is easy to do so why wouldn’t I? People often say I’m a great connector and generous with my relationships, and I take both comments as big compliments. I’m sure you know there’s a “however” coming next. I have a close friend, “Joanna,” who I’ve introduced to numerous friends over the past two decades, whether casually at a bigger event or more purposely such as inviting her family over for dinner at the same time as another family if I think they will all get along. Joanna, however, never introduces me to her friends and acquaintances. I know some by now after two decades of friendship, but that’s because of the big events of Joanna’s we’ve all attended (birthdays, etc.) as opposed to her doing anything to bring us together on purpose. I can literally be at a fundraiser or some other event with Joanna and a person will come up to us that is new to me and Joanna will start talking to the person without taking the minute to even do a basic, “Oh, this is so and so who I know from my old job. And so and so, this is Connie an old friend of mine.” You get the idea. I’m not suggesting Joanna should arrange an intimate dinner every time she makes a new friend so that I can meet her, but she could include me every so often, or at the very least introduce me when I’m standing around while she and her friend/colleague/acquaintance are talking in my presence. It would be impossible to count the social connections Joanna has made through me. What makes me feel worse (mostly I feel bad about my feelings about it all) is that Joanna is generally a good friend to me. I can trust her and she goes out of her way for me like offering to pick me up at the airport (and actually doing it) or lending me a dress for a vacation—stuff like that. I appreciate all that and more, but the friend hoarding really bothers me. I don’t know why she has to keep everyone so separate. I’m not saying I want to end the friendship at all. I’m just wondering if I should stop inviting Joanna to do things with other friends of mine as I make new ones in the future. Why should I open my social world to her every time I meet someone new and yet she never feels compelled to do the same for me? I see my own words here and at almost 50 years old, I know I sound so petty. But I’m feeling stuck. I can’t stop dwelling on it, and I’m not sure what to do. I relate to this question more than any other in the past two years. I’m not a perfect friend. I make mistakes as everyone does. But one aspect of friendship I excel at is making connections. Like you, I do not hoard my friends and it brings me pleasure to see people from otherwise random parts of my life forge a friendship of some kind. I also related to the situation you described of standing around awkwardly in a conversation while I wait for a friend to introduce me. What is wrong with people? I often end up introducing myself. I am probably an extreme over-introducer because of how much I hate that moment of standing there twiddling my thumbs. I’ve introduced people who unbeknownst to me have been friendly for years or are even related. I simply don’t like the idea of two people standing near each other who have not been introduced. And that is true on a deeper level, too. If I know two people (even just online) who could hit it off socially or help each other in their professions, then I am uneasy until I’ve connected them whether it’s through a dinner at my house, a meal out, a simple email, or even a Tweet to both of them together in the case of my writer buddies. But now I have to take a step back from my self-congratulation and ask you to do the same. The fact that you and I take the “connector” label as a compliment means we value the idea of connecting people to each other and we also value being connected to others. The thing is that not everyone prioritizes values the same way when it comes to relationships. Beyond the basics of kindness, decency, and trust, there really is not a right and wrong for how to be a good friend. Let’s take the airport example. I’m not sure I have ever offered anyone a ride to or from the airport, and frankly if someone asked me for one I might even be a little annoyed. Why? I would never expect a ride at this point in our lives. Everyone is so busy and nobody else’s travel plans are my problem nor should my plans be my friends’ concern. I can barely get myself to and from the places I need to go let alone take on someone else’s transportation needs. I have to give Joanna kudos. I consider myself a really good friend to a large handful of women in town, and yet it would honestly never occur to me to make that offer and even after reading about Joanna’s generosity of time I still wouldn’t. This may seem like a small gesture to examine, but it demonstrates a larger point about relationships. We all show our love for our friends in different ways, and ideally we all give each other the benefit of the doubt. Perhaps Joanna has been disappointed that when she mentions a trip coming up you don’t offer a ride. Wouldn’t it be nice if Joanna said to herself, “Connie has gone out of her way to introduce me to so many people and obviously loves me. I’m not going to hold the lack of airport pickups against her.” Hey, maybe she has said that to herself! As for why Joanna keeps all of her friends separate, that is impossible to know. I’ve seen that pattern in some friends of mine, too. Perhaps Joanna has been burned before by bringing friends together who have better chemistry with each other than either has with her and then she gets left out. It happens! It has certainly happened to me, and I imagine it has to you as well if you’ve been a connector for your entire adult life. That fact hasn’t stopped me (or you), but I will say it takes significant internal confidence to rise above our natural tendencies to hoard relationships. Go us! So now what? Should you keep sharing your friends? I say yes. I don’t believe in using someone else’s limits to dictate your own behavior. You do YOU. If making those connections is how you demonstrate your appreciation of your friends, then I wouldn’t stop for Joanna or anyone. I assume Joanna keeps offering you rides and her clothes even if neither gesture is something you would do for her. And I also assume that after two decades of friendship she has shown you other generous sides of herself. Focus on those good things and force yourself not expect to meet her other friends. That’s simply not something Joanna is good at or wants to share, but it doesn’t seem like it’s directed at you personally. As a side note, Connie, your confidence about making new friends as an adult is so refreshing. You probably don’t realize how rare it is (at least in my inbox filled with anonymous questions) to have such a calm assuredness that you will continue to make new friends as life goes on. Good for you! And thanks for the question. You made me realize I have to let go of expecting the same amount of connection-making from others as well. 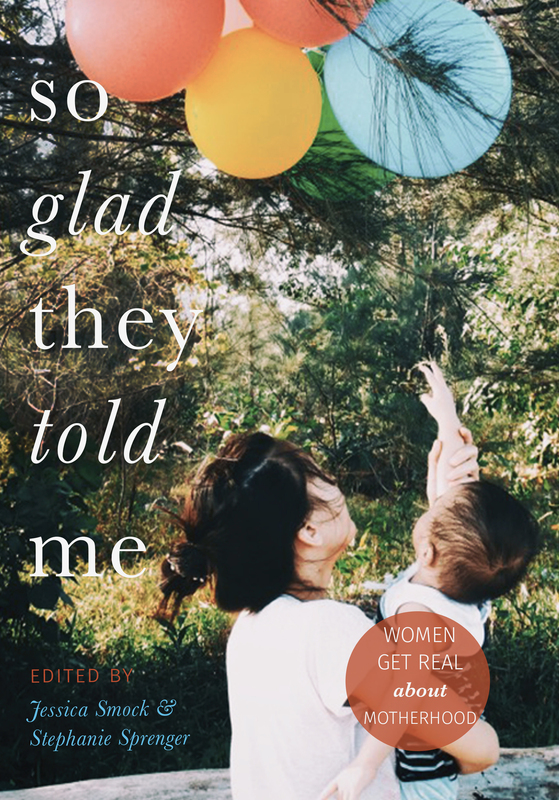 **Have you read our latest book, So Glad They Told Me: Women Get Real About Motherhood yet? Grab a copy here! **Check out our self-paced online writing courses here. Nina, your response to ‘Connie’ was right on target. I also consider myself a connector. I’ve also found myself in the same situation of standing in a group of three (for instance) one person knows two of us but not each other. Long ago, I decided to introduce myself to the unknown friend while we are standing there. This allows me to take charge of the situation, not feel ignored and more often than not I get an apology from the friend in common. Sometimes they are more aware of it for the next time, sometimes not but that’s how I deal with it. I’m also enjoying Nina’s take, an I like that tip, Susan. I’m also a connector. I had to work on myself to become one because I’m naturally a wallflower. It might just be that the friend is oblivious or doesn’t get etiquette, and taking a small action (introducing oneself) can circumvent the problem, at least in large gatherings. Yep I agree with you both. Best to take control of that kind of situation and not wait for someone to do what you hope they will do. I couldn’t agree more with your answer Nina! And I, too, find Connie’s generosity with her network and genuine enjoyment of making new friends and helping others do the same so wonderful. I would just add that there might not be a reason at all for Joanna’s lack of introductions. I would guess that it just never even occurs to her. I bet if Connie (or anyone else) asked her directly to facilitate an introduction, she would happily do so. But it’s just not her natural tendency to “go there.” At least that is how I am! 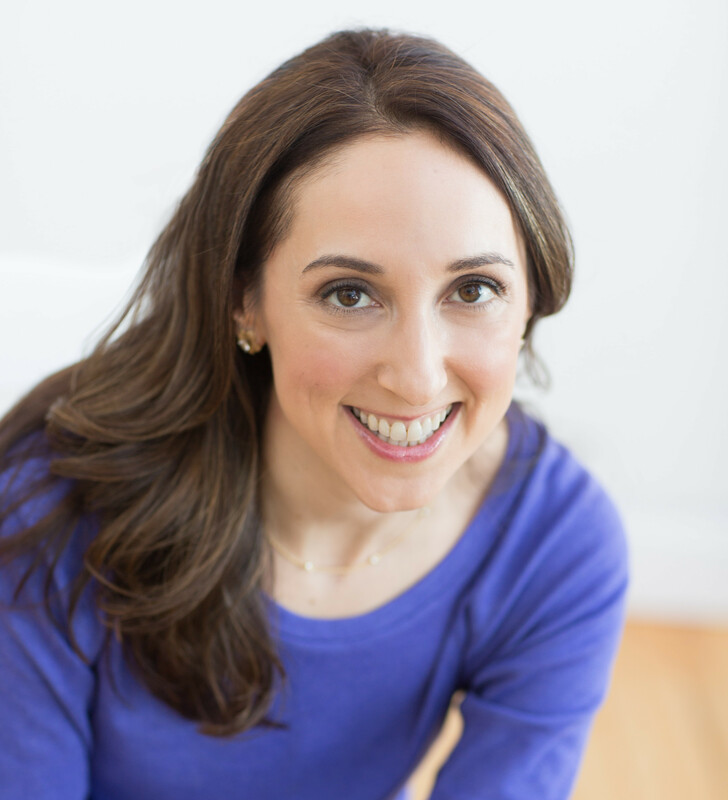 Caryn recently posted…I Came. I Marched. So Now What? I think you’re right that many would if asked directly and otherwise it doesn’t occur to them (despite being the recipient of such intros). This was so interesting to me, Nina. I don’t really identify with Connie or Joanna, but it makes me think about what I bring to friendships, and how I define being a good friend. Your advice was wonderful as usual, and I stopped mid-read to send an email to a friend I haven’t talked to in awhile. Thanks for the inspiration! I really like that angle too . . . thinking about what we bring to friendships. I really enjoyed reading your response. I just get such a kick out hearing a person’s voice that I know in real life in their writing. And that is always true in your case. I can soooooo relate to this topic. I have always admired the connectors. Like you. And my sister, Amy, is another example. I don’t necessarily think of myself as a connector, but it is something I’m striving to be more of. I certainly introduce people at social gatherings (if I don’t it’s because I’m spacing out on their name in that moment, which happens more and more these days) and I do tend to have an eagle eye for anyone who is feeling left out, but I don’t go out of my way to connect. That’s something I’m trying to improve on, though, because I’ve been on the receiving end of so many wonderful connectors. Again, like you. I love how you wrote “You do YOU!” That’s awesome advice. But I want to continue to be a better ME, and part of that is doing what I can to bring others together and live generously and unconditionally with the gifts I’ve been given, which includes friends! Life is too short to hoard. I think having an eye for who is being left out is such a special trait. And good point that we can still be ourselves while striving to do a little better where we can. I think I’m a connector too! And generally you can sort of see that some people just aren’t – for whatever reason. It doesn’t come naturally to them, or they do get envious, or they’ve been burned. Your advice is sound and spot-on. I do think envy plays a part in some cases! I definitely see myself as a connector… obviously that is one of my “love languages.” Clearly Joanna’s “love languages” are rides to the airport, sharing clothes, etc. Some people are just not as comfortable in social situations as others, and that seems to me to be the case here. And I agree with you, there’s nothing wrong with that. Nina you amaze me. I think you missed your true calling…. Therapist! I have been a benefactor of your connector skills and I’m extremely grateful. I consider myself a connector as well, and I had a friend hoarder, too. Eventually I decided my hoarding friend didn’t have the self-confidence to share her friends. I valued my friendship with her more than making more connections. I love how you distilled all of this for the writer (and the rest of us). I feel like a strong connector when it comes to people’s professional lives especially. Like when a former colleague of my husband’s was on the job search I immediately sprang into action and said, “Oh! He must talk to my good friend, XYZ! She’s in that field!” But I am a far more subdued connector (basic introductions, yes, organizing group outings, no) when it comes to personal friendships; I think it’s more the introvert in me than being a hoarder. But reading this Q&A makes me realize that my default is not necessarily someone else’s and I should maybe keep an eye toward any inadvertent hoarding tendencies! Spot on advice, as always, Nina! I loved this letter and your response too, Nina. It sounds like Joanna’s love language is acts of service 🙂 A fun story about airport rides – I am fiercely independent. A few years ago, DH and I were on our way to a work event and had some car trouble. It got sorted but it was a huge schlep. On recounting this story to a friend, she asked me, “so why didn’t you phone me to come fetch you?” I stammered, “um, because we just don’t do that…” and she said something, “how can God use other people to bless you if you won’t give us a chance?” WOW. Anyway, that was God talking… and I pointedly asked her for a ride to the airport for our very next trip and she was THRILLED to be asked and to help. I’ve connected many people both personally and professionally. I have another cute story. I am friends with two girls and I kept mentioning the one to the other, and vice versa, like “you really should meet so-and-so”. Eventually, I got bossy (!) and emailed them both to encourage them to meet for a coffee. They humoured me because they trust my people vibes…. and hit it off. And now are proper friends. I love it! Great answer, Nina! “We all show our love for our friends in different ways, and ideally we all give each other the benefit of the doubt.” Yes! I’d like to add one point I’d heard recently (Gretchen Rubin?). Some people are compartmentalizers while others are integrators. Some people like to have areas of their lives separated — work friends only at work, neighborhood friends only in the neighborhood, etc. While that may seem odd to an integrator — everyone one big happy family — to a compartmentalizer, it might seem messy and confusing. Maybe Joanna is a compartmentalizer and prefers to keep her friends separate. She may not even realize she’s doing it. That is a great point too! Thanks for sharing. Sounds like a Gretchen Rubin thing. Great advice, Nina. I probably am a hybrid between an introvert and a connector. I like that you encouraged the advice seeker to look at friendship from different angles and to offer latitude and benefit of the doubt. None of us are perfect in friendships and I’d like to think people would consider the history of the relationship over one bad trait or act. I love your advice here. It’s wonderful & spot on. I am also a connector & I tend to be very good with remembering names & details about other people. This year I’ve learned that not everyone is so inclined; so sometimes while it SEEMS that someone might be being rude by not offering an introduction, in my experience, it’s often that the friend can’t remember the other person’s name & that would create an awkward situation. By taking. Barge of the situation and introducing oneself, we take that responsibility off of others, who may want to introduce friends from different but honestly can’t do it without awkwardness. That being said, I will throw a fly into the soup: I had a best friend for 14 years. I thought B & I would go to the old folks home together. We did everything together…but she had these snooty college friends and she kept me separate from their movie nights, dinner parties, skiing events. I started to feel like the ugly step-sister & I asked her about it and she confessed her friends didn’t like Jewish people, so she kept us separate. And that was my first inkling that B & I were not as close as I’d always thought. Sooooo if Joanna is feeling intuitively like she’s being kept to the side, she must pay attention to that little voice. Hmmm. Wondering why no photo or comment love. Testing. ?